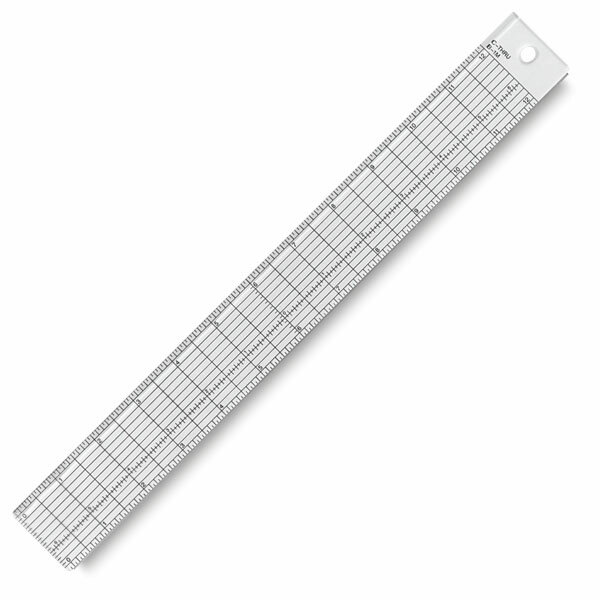 The Westcott heavy-duty clear plastic grid ruler has one beveled edge and one stainless steel edge for easy and safe cutting. Calibrations and grids are visible on both light and dark surfaces. 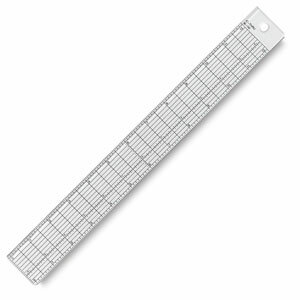 The ruler is graduated in 16ths to the inch with a zero centering scale.